Food in Mexico is a serious subject. 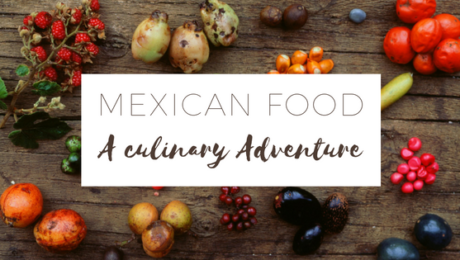 Not only are home grown chefs beginning to garner more and more acclaim each year, but the tradition of Mexican food and it’s significance to the culture is so strong, that UNESCO donned Mexican food as a Intangible Cultural Heritage of Humanity in 2012. What is interesting to learn is that most of the Mexican food we commonly associate with Mexico is a byproduct of colonization and other outside influences. Take, for example, flan, ceviche, or churros (all of which are in abundance in Mexico). None of these famous dishes have true origins there. Funny enough, Churros are a descendent of a salty dish from China called Youtiao in which dough is fried and eaten for breakfast. So what is it about Mexican food that is so important and so beloved? The story begins with the two most important staples in the country, corn and chili peppers. 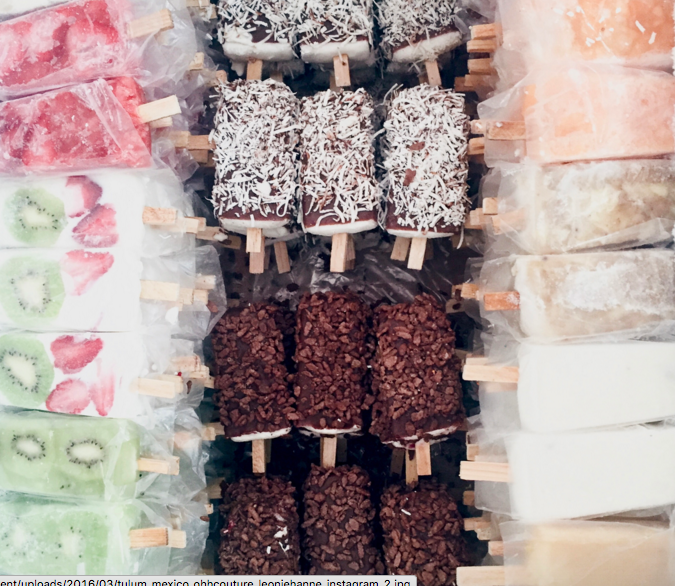 Despite the introduction of wheat and rice over the centuries (and their relative abundance and low cost) corn still remains today the basic building block for all meals in Mexico. This isn’t a surprise, as science points to the idea that corn, in fact, developed over 7000 years ago in central Mexico from a type of wild grass called teosinte. The tradition for corn obviously runs deep in that respect, but a source of pride in Mexico that is even more intense comes from the indigenous chili peppers found here. It is said that Mexicans have access to the widest variety of chili peppers in the world. Evidence of the importance of chili peppers can also be traced back hundreds of years in a quote from Bartolomé de las Casas, a famous 16th century Spanish historian, who observed that without chilies, the indigenous people of Mexico did not think they were eating. In Mexico today, it is clear that chili peppers play an important role in the cuisine. One’s culinary adventures in Mexico should be focused on the exploration of salsas, and in this case, salsa referrers to any kind of sauce accompanying a meat or vegetable dish. In this part of the world, all traditional salsas contain chilies. The origins of salsa can be traced back to Aztec times where we have proof of its presence at the marketplace (we can also thank those same Aztec people for introducing coco beans to the world). The significance of the chili and sauce can be seen in the fact that dishes in Mexico are often times not categorized by the meat or vegetables the sauces are served with—but rather the sauce itself. The most common types of salsas you can find at almost any authentic Mexican restaurant are as follows: entomatada (in tomato sauce), adobo or adobados, pipians and moles. Entomatada: While entomatada is, in fact, the name of a salsa, you can order a dish called entomatada and wont be disappointed. Entomatadas are very similar to enchiladas but have a tomato-based flavor. The dish is prepared with delicate; often times pressured cooked meat of your choosing, cheese and beans. The filling is wrapped inside a lightly fried tortilla and coved in rich entomatada sauce. Adobo: The adobo sauce is one of the simplest to make using only ground chilies, vinegar and herbs. Many times this salsa is accompanied by the smokier tasting chili, Chipotle chilies, which is why adobo sauces are often times associated with a stronger woodsy flavoring. The word adobo is also used to describe a meat dish prepared as a stew as can be ordered as such. 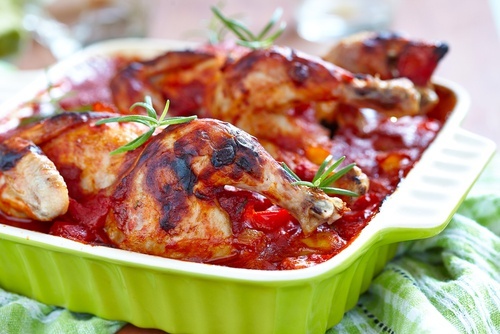 Pipians and Moles: A pipian salsa is a category that falls under the mole sauce umbrella. These types of salsas are distinguished by their use of cumin, anise and cloves and many more herbs. When one thinks of a mole, many times the color is brown due to the use of baking chocolate at the end of the cooking process—however, bare in mind, not all moles use chocolate. 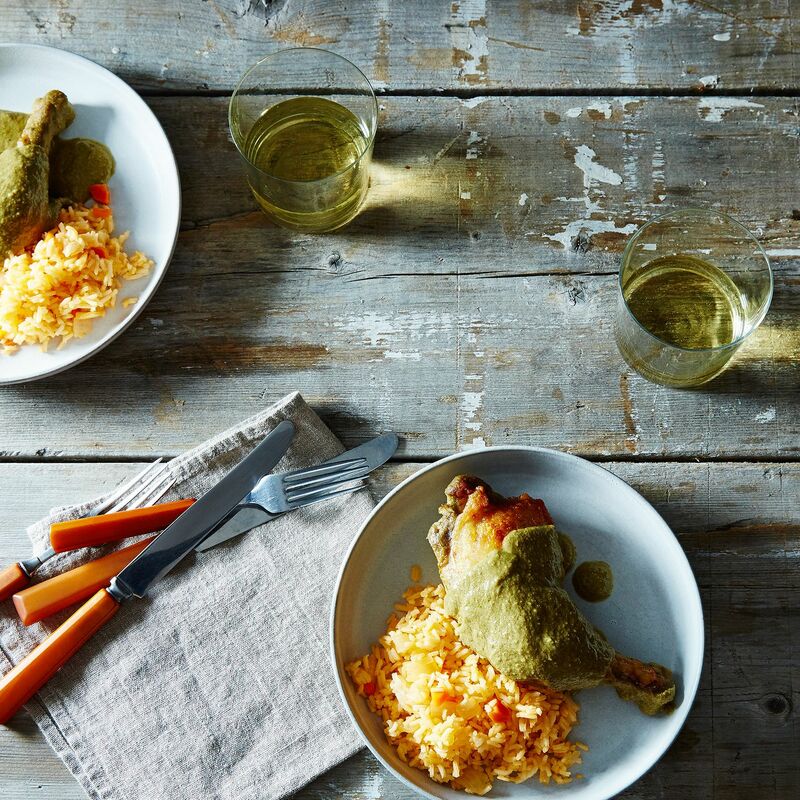 The most typical, and delicious way to enjoy a mole is by ordering Mole Poblano which is tender chicken smothered in thick, creamy mole sauce made with a specific type of chili called Poblano. Keep in mind; no proper meal in Mexico would be complete without an accompanying drink. Of course, our minds immediately think of margaritas and tequila (which both have a strong place in Mexican culture). But it is mezcal and not tequila that really get connoisseurs talking. Mezcal is made in a similar process as tequila and both come from the agave plant. However, while tequila is only distilled from the blue agave, mezcal is “limitless” coming from any variety of agave. Most mezcals are marked by the smoky quality of their flavoring, however, due to the endless agave varieties available; each brand can be quite different (which is why this drink is so exciting). If you’re not one to sip hard liquor over ice, there are also endless cocktails available made with mezcal to introduce you to the flavors. We do not live complicated lives and we are grateful for that. Here in Mexico, we are able to harness the peace and sunshine around us everyday to craft a business with passion and integrity; and it is with passion and integrity that we have meticulously poured our hearts into planning Villa La Semilla. For many years, we have taken our family to enjoy the natural shoreline and quiet ambiance of Soliman Bay—the pristine beaches just outside of Tulum. We would often daydream about building a villa on the calm shores to share this hidden gem with our guests. We wanted to offer an exclusive experience for families and small groups where folks could disconnect from the noise of the modern world and reconnect with the things they find most important. When this dream started to become a reality just 2 years ago, our wheels began turning about the aesthetic and feeling we would want the design of Villa La Semilla to evoke. The one thing we always knew was that we wanted to create a place that lived in harmony with nature and provide the experience of living inside the native beauty of the area. Under the watchful eye of architect Pedro Pablo Velacso, we have been able to design a project that draws much of its inspiration from the natural forms of the land. This idea has been the backbone of everything we have done and will continue to do. Long before paint colors and textile patterns were a thought in our mind, we purchased a plot of land. This virgin land had not been cleared for construction nor had the hand of man ever interrupted it. Our plot of land was completely wild with tropical flowers and great, towering palm trees. Since stepping into this patch of jungle our mission was clear—to preserve as much vegetation and life as possible during construction. 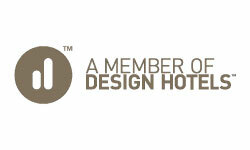 When we were building Hotel La Semilla, we were fortunate enough to partner with Landscape Architect Sr. Wolf. Sr. Wolf is a local German-Mexican expat who has called Riviera Maya home for over 30 years and who shares our deep passion for conservation. Together, we began with an extensive vegetation rescue project; which resulted in our amazing garden terrace at the Hotel. For our Villa property, we were determined to continue these efforts while taking it one-step further—along with a team of biologists, architects and engineers, we were able to identify the natural balance of the area and determine which plants were expendable and which were vital to the survival it’s surroundings. By utilizing a special replanting technique, we were able to save nearly 100 plants, trees and flowers, of which 98% survived. For any plants that were lost during this replanting process, we have replaced the land with twice a much vegetation. For us, the most important aspect of this project is to maintain the energy and natural balance of the ecosystem of our property. We believe this will add an intangible element to the Villa and, as a result, guests will be able to enjoy a plethora of Chit Palms, giant palm trees and extensive plant and flower life native to the area during their time with us. For our guests, the efforts we have put into preservation of the natural environment translates into an experience of truly feeling inside the Mayan jungle. 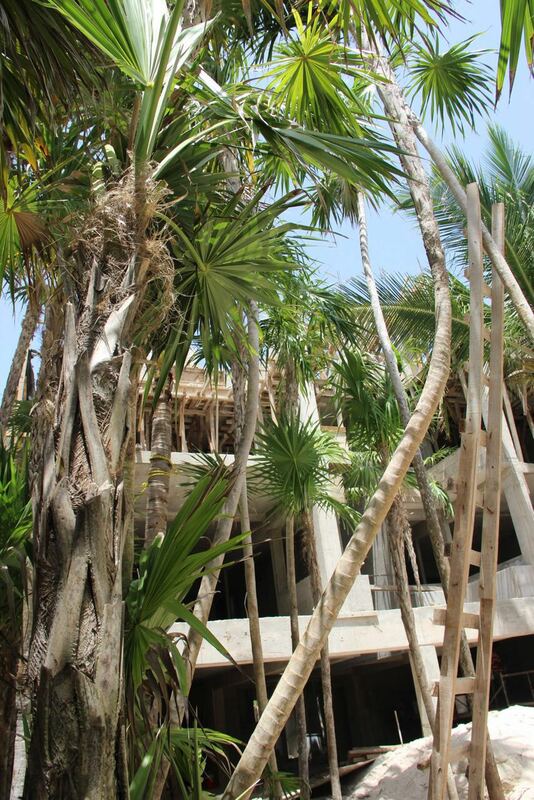 Our guests will enjoy a lush terrace that leads to a private stretch of beach. We will create small nooks in between the trees for sunbathing and relaxing. Inside the villa, you will also never feel far away from green. In our preservation process we have built much of the vegetation into the design, which at times, quite literally, means vegetation lives inside the villa walls as well. To further the concept of living harmoniously with nature, the villa’s design also uses innovative construction techniques to make use of the ocean breeze as a natural cooling system in the Villa’s outside areas. We have also worked hard with our neighbors to preserve the sand dunes, many of which have been destroyed in other parts of Riviera Maya, in order to protect the marine life and preserve the pure beauty of the location. The passion and veracity we poured into protecting the land on which Villa La Semilla lives has also been directed into the design of the interiors. La Semilla, as a brand, has become synonymous with soft, romantic details and a rough lux aesthetic and this is will continue with Villa La Semilla. Gaining inspiration from organic forms and simple design, our aim is to create an environment that reflects a tranquil life. We will utilize locally sourced antiques to translate the history, heritage and style of Mexico. Most of the furniture will be sourced and details procured from the finest markets and auctions around Mexico—many of which hail from different Haciendas in and around the Yucatan Peninsula. The careful placement of all objects and materials is where the true magic begins and we cannot wait to share with you our entire finished product. As summer has now come to it’s end, the basic structure and foundation of our Villa is complete. Expect to see more from us in the upcoming weeks as we roll into the second phase of construction. We expect to launch the property by Christmas 2016 and are thrilled to begin welcoming guests shortly thereafter. 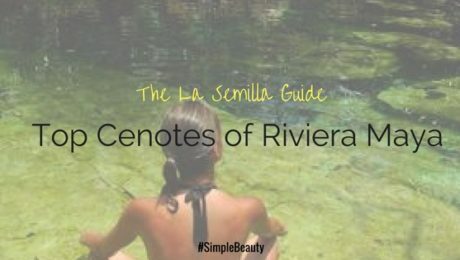 During your stay at Hotel La Semilla in Playa del Carmen, it is inevitable that one will hear whispers about the hidden, crystal clear, natural cenotes of the region. Popular with both tourists and local set alike, cenotes are mineral-rich, natural bodies of water that can be found deep in the Mayan jungles. Cenotes were revered by the Mayan People as mysterious and mythical sites where human beings could directly communicate with the gods. For this reason, some Cenotes were even used as a place for sacrificial offerings. The word Cenote, or ts’onot as used by the Yucatec Maya people of the region, literally means a location with accessible groundwater. These locations can be found both on a superficial level at the earth’s surface, or deep within caves. Cenotes are formed as a result of collapsed porous limestone bedrock. The force of the impact reveals a subterranean aquatic system of fresh water that is filtered by the earth. The result is clear, fresh underground pools that house an ecosystem of tropical fish and vitamin- and-mineral rich algae. For this reason, cenotes are most popular for snorkeling, as you are able to experience the type of underground world only a professional diver would normally have the privilege of experiencing. For visitors to these cenotes (there are dozens in the region) will appreciate the tucked away, private nature of experience. Many of these cenotes are, in fact, quite hidden and in some cases completely free of other guests during quite times of the year. The most common people to spot are locals from Cancun; this is because most of the prime ocean real estate has been bought up by big chain resorts and the cenotes remain a wonderful alternative for to experience the pristine waters of the region. It’s obvious to see why the Mayans held the Cenotes in such high regard. Enjoying a day in the Mayan jungle surrounded impressive tropical foliage, birds and indigenous monkey-like creatures called Coatis’, in near isolation, it’s easy to be transported back in time. Cenotes can be dangerous with small children—most are endlessly deep with little space to wade. For families that want to experience a cenote without the stress of danger—the best place to go is Cenote Azul. The swimming site itself is pretty basic compared to others in the region. You will not find anything fancy but what you will find is a near perfect rock system below the water’s surface that create natural wading pools of shallower waters. For the older kids, there is a spot for jumping off a small cliff, that is relatively safe. There is, of course, a bountiful amount of fish visible to the naked eye from above the surface– and the best thing to do is sit back, relax and let the little guppies nibble at your toes. If you’re looking for a more “luxury” experience in the Mayan Jungle, look no further than Cenote Yokdzonot. Here you will find a collective of local woman running a tight opertion. For a small fee, you’ll have access to changing rooms, bathrooms, a zipline and even a restaurant with decent food. Everything is made to order and the proprietors are generous with the portions. All facilities are clean and the patrons of the cenote are usually local with a few dotted tourists mixed in. If you’re looking for a great place to relax in a convenient location while touring (a short drive from Chichen Itza) Yokdzonot is your spot! 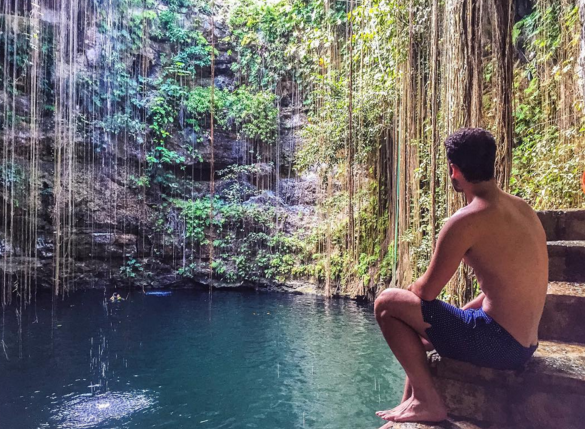 Cenote Dos Ojos is a place for adventurers. The name, “Dos Ojos” literally means “Two Eyes” and refers to the twin pools of water that make up this Cenote. One of the “eyes” are bright and light blue, while the other is dark and mysterious looking. Both pools certainly deserve attention as they are equally beautiful, but it is the darker body of water that sparks curiosity. Visitors of the “dark eye” enter these waters for a truly unique snorkeling experience that is virtually in pitch-blackness. Divers can rent all gear at the site and are given flashlights to explore the dark underground universe. The experience in exhilarating and, at times, frightening. If you’re not interesting in a “black out dive,” another entertaining alternative is to hike through the series of interconnecting caves that surround the Cenotes. Tours are available for those that want more extensive cave searching. 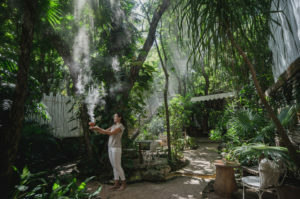 ☐ Non-toxic sun screen: while more cenotes warn against using sun screen at all in order not to pollute the natural water, there are biodegradable and organic options that can be used. 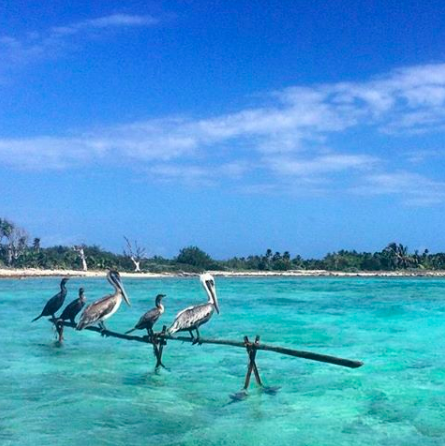 Beyond the dense mangrove, down a long dirt road you can find it: Soliman Bay. This is our secret spot, a place where we, as a family, spend lazy Sundays admiring the universe of sea creatures, marine vegetation and small jungle critters. It is a place where we can completely disconnect from our daily routine and reconnect with nature. This is where we will build our next property, Villa La Semilla, and we are so excited to share this magical spot with you all. Soliman Bay sits just north of Tulum village. The area surrounding Soliman Bay is a secluded, beachfront community made up of private villas and vacation homes with virtually no commercial development. In this tucked away strip of beach, you will find Villa La Semilla hidden between the bay and the mangrove jungle. It is a quiet place where you are quickly transported. 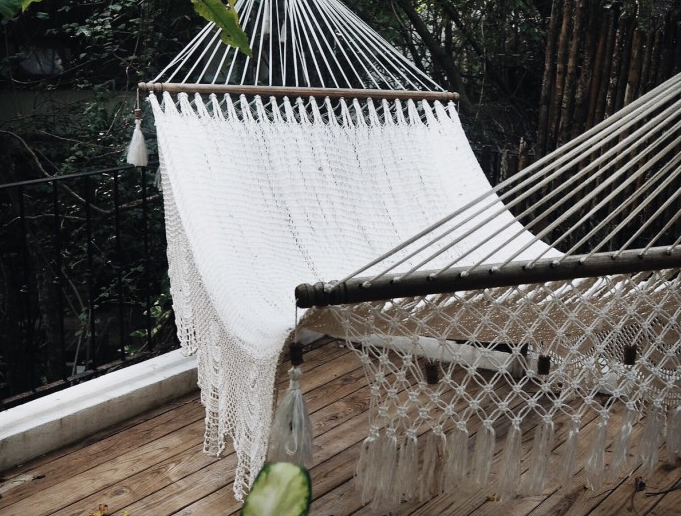 Days are spent connecting with nature and enjoying simple pleasures like curling up with a good book in the hammock. 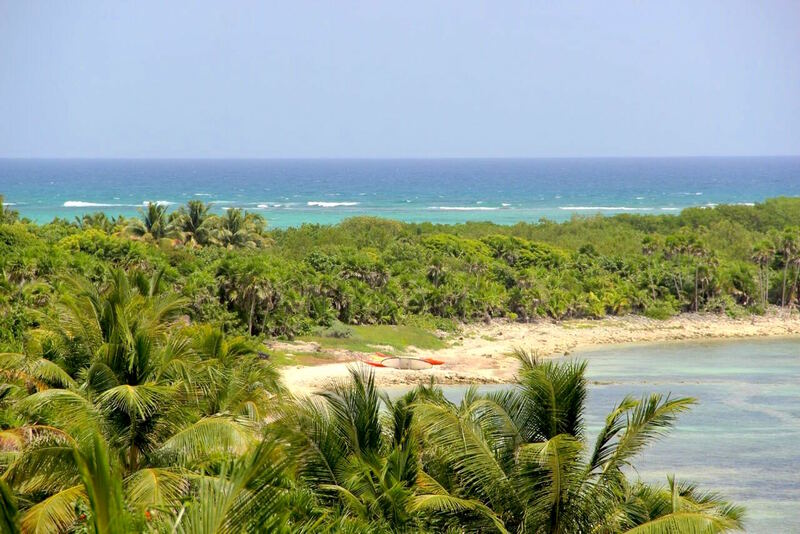 As Riviera Maya is developing rapidly, Soliman Bay remains a quiet retreat where you can admire the nearly virgin landscape in an environment that has been consciously protected from the ware and tear of development. Although you feel a million miles away at Villa La Semilla, the truth is Soliman Bay is just a short distance (15 minutes by car) from the village of Tulum and 1.5 hours from Cancun Airport. If you are interested in exploring the area, there is much to discover. 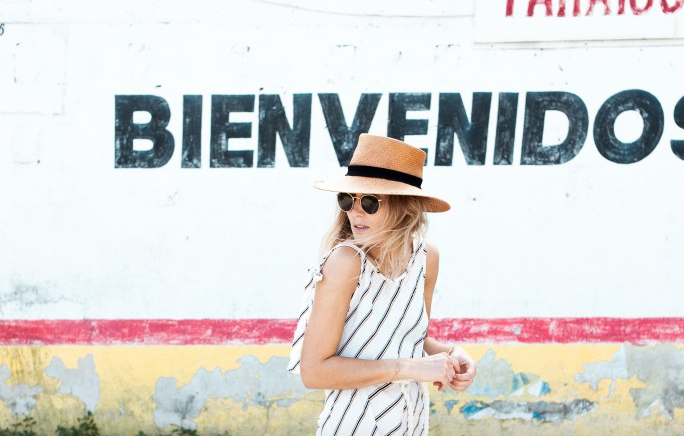 Tulum is known for it’s wonderful restaurants and nightlife but more excitement awaits discovering the breathtaking Mayan Ruins, pristine beaches, lush jungles and chic boutiques of the hotel zone. It is early morning; you have woken up sooner than expected. You quickly brew a cup of coffee and retire to a quiet place. What do you hear? Do you notice how different the world seems before the day begins? If you’ve spent time at Hotel La Semilla, you’d know that we have a humble garden terrace filled with palm trees, vegetation and happy little black birds that take baths in our fountain. In the morning, before guests have woken and rumbled down the stairs for breakfast, our terrace is the most peaceful place on earth. It is a place where nature envelops you—a place where you can spend thirty minutes watching the clouds and feel as if only a second had passed. In this terrace, I feel calmer; I am at peace. My body is relaxed and my breath is steady and deep. Any stress or anxiety looming around my mind is quelled. This is how nature makes me feel in this place. Our relationship with nature is a powerful and important force, yet it is often something we dismiss. We take for granted the rising sun and the chirping birds, the flowing tide and the whispering wind. The earth gives us gifts everyday and these gifts affect us greatly, not only emotionally but physically as well—even if we don’t notice. The healing power of nature is very dynamic. It can affect us in many ways. There have been studies that show how fresh air and an ocean breeze can lower blood pressure or how patients recovering from surgery recuperate twice as fast when given a room with a view. All this we know. We understand that our bodies feel better outside. We know that human beings are meant to be in the wild. That we evolved in nature for millions of years before developing agriculture only 10,000 years ago. So why do we let days pass without connecting with nature? Connecting with the earth is connecting with our inner selves, after all. Suggestion 1: Establish a meditation practice. Quieting the mind, intellect, and ego in a state of restful awareness allows you to enter the realm of soul, beyond thought and form. As your practice matures, your level of consciousness will expand and you’ll have an experiential knowledge that you’re an inseparable part of the universe. You will start to become more aware of the opportunities and lessons the universe is presenting. In addition, you become more open to healing – in whatever forms that may take. Suggestion 2: Each day, consciously awaken. Consciously practice opening your eyes, and other senses, as my colleague Libby says when ending meditation at the Chopra Center, “as if for the first time.” Pretend you are from another part of the universe and everything you are sensing is new. As you practice being a silent witness, do you observe things, both internally and externally, that you haven’t noticed before? Suggestion 3: Spend some time in a natural environment, preferably outdoors. If you’re unable to go outside, find a position of comfort, close your eyes, and consciously visualize walking in a natural setting. How much detail can you bring to the experience? Can you visualize yourself healing or healed? How slowly can you take in your surroundings to most fully appreciate everything in your environment? You may want to try a walking meditation, moving as mindfully as possible, with no thought of a destination or goal . . . just walking and paying attention to the world within and the world without. Suggestion 4: Whether you’re outside or visualizing, become aware of each sense while bringing attention to each of the five elements. For example, you might use your sense of sight to visualize the night sky, searching for stars, planets, and satellites. You could then find yourself watching how the wind moves clouds, branches, and leaves. Watching water move downstream, gently caressing the cobbles lining its bed, may be soothing. One of my personal favorites is observing sunlight through a prism as the light is resolved into its component wavelengths and the intense beauty of the visible spectrum is revealed. Looking at the earth and its formations through new eyes that appreciate its dynamic nature may be both expansive and grounding. Spend time contemplating each sense in a similar fashion, treating your ears, nose, mouth, and skin to a wide variety of the sensory delights that nature so abundantly provides. Suggestion 5: Write about the emotions, feelings, and ideas that come to mind as a result of this exercise. At the Chopra Center we have found journaling to be very useful in the art and process of healing. It gives each of us the opportunity to clarify our thoughts, feelings, and experiences. Suggestion 6: Witness the healing effects of this practice on yourself, community, and planet. Ayurveda teaches us that we are made up of three bodies. The physical body is composed of the environment, our personal body, and life energy. The subtle body is composed of mind, intellect, and ego. The causal body is composed of the personal, collective, and universal soul. Because all aspects of our being are actively interacting with all other aspects of the universe, practices promoting healing extend beyond us, to others in our environment. In this way our actions are like a ripple effect in that the wave of healing energy propagates and others may benefit. Suggestion 7: Celebrate! Express gratitude for this extraordinary, remarkable privilege of existence. In the end, it’s all about peace. In order to discover the healing benefits of nature, we must first pay attention. These days we move too fast and function at a level that does not allow us to appreciate the little things. Today would like to challenge you to take a moment to remind your body of it’s humanity and go stop and smell the roses. Snorkel Adventure Have a wonderful experience snorkeling around the island on different reefs enjoying the beautiful weather. The Restaurant @ Hotel Jashita This is a small eco-friendly hotel located in front of a beautiful bay with delicious Mediterranean food. Beach and Cenote This is a unique beach which is totally deserted. It is a very relaxing place with a cenote within a 5 minute walking distance from the beach. La Buena Vida A nice and laid back ocean front restaurant that serves Mexican food in a mellow environment. A great to place spend a day relaxing. KSM Beach Club Enjoy your day in this great, calm beach club where you can learn how to kite surf. La Playa Beach Club A relaxing place with great service and delicious Mediterranean food. Al Cielo Have lunch in this laid-back restaurant with a very relaxing view (reservation needed). This park has a bit of everything from rivers, caves, and museums to a unique night show that highlights the best of Mexican culture. This park is great if you like to snorkel as most of it’s activities are dedicated to water sports and adventures. This park is perfect if you are looking for a little adrenaline rush. Here, you’ll find park activities that are more extreme such as cliff diving and ATVs. You can enjoy a different kind of tour with All Tour Native– it is a company we highly recommend. Each tour has a bit of a cultural side– from architectural ruins to snorkeling and zip-lining each experience includes a Mayan ceremony and a bit of education. Feeling adventurous? Renting a car is a great way to experience Playa del Carmen and beyond as a local. We can help you decide what to do and map out your perfect day without the hassle of a group tour. Enjoy yourself in this outdoor cenote. It is a great place if you wish to feel relaxed and calm. This best cenote for families. Here you can enjoy many rock pools with shallow water where kids can play safely. Very refreshing and usually pretty quiet. A laid back hotel that offers great food, great service and a unique view. Have a calm lunch in front of the beach. This is a family friendly restaurant but offers late night salsa lessons every Sunday. 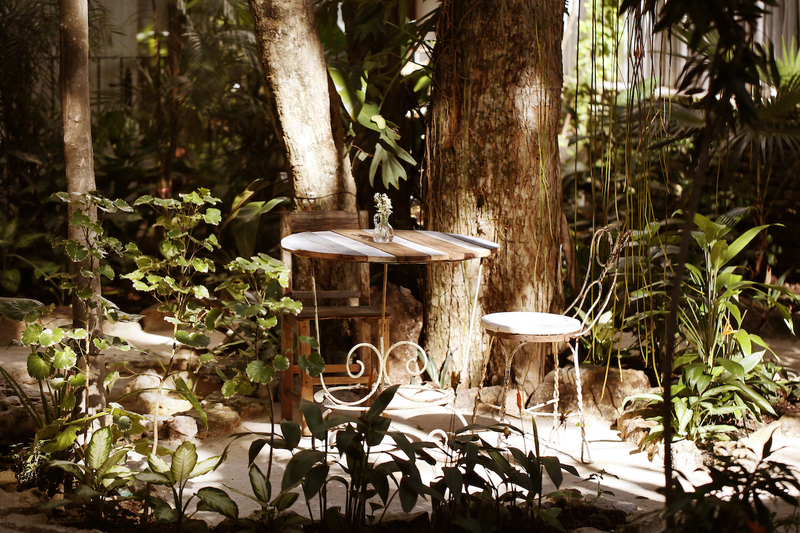 This wonderful restaurant is located in the middle of the jungle and offers a culinary adventure. A Mexican restaurant that is great if you wish to have a wonderful night full of great music. An exclusive and small restaurant with all-natural cuisine. A unique property that makes it’s own perfume and scents. Enjoy the beautiful beachfront with a romantic massage. This is a very small fishing town filled with local artisans, restaurants and more. A very small town with a nice stretch of beach. A typical Mexican town, rich in culture with authentic local restaurants and a beautiful plaza to stroll around. This town is filled with authentic Mexican architecture from the houses to the main shopping streets. This archeological ruin is located in front of the beach, a unique and breathtaking view. Rent a bike and wander around getting to know these ruins that are located inside the jungle. This archeological site is very small but surrounded by lots of small towns and cenotes. One of the seven wonders of the world– we highly recommend getting to know this capital city of the Mayan World. 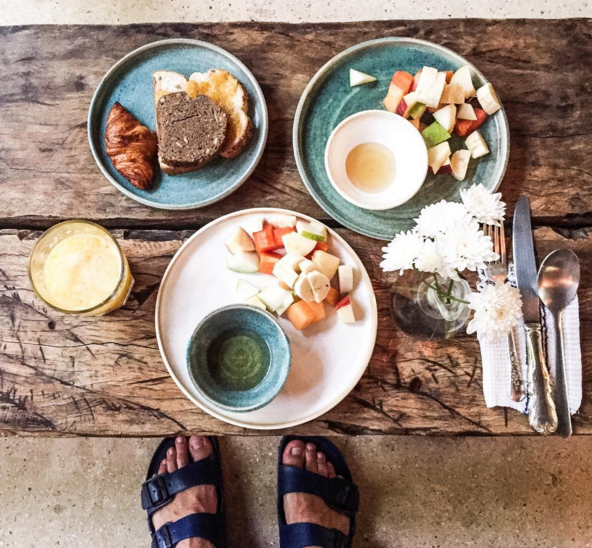 A London-dwelling ex-fashion editor, one man on a mission to inspire clothes with personality, and a stunning German fashion blogger all graced the sandy-steps of Hotel La Semilla these months. We are always honored to welcome extremely fashionable and enormously creative bloggers from around the world to stay with us. Every time we collaborate with bloggers it is incredible to see how their perspective and personality infuse into the photos and stories they share. 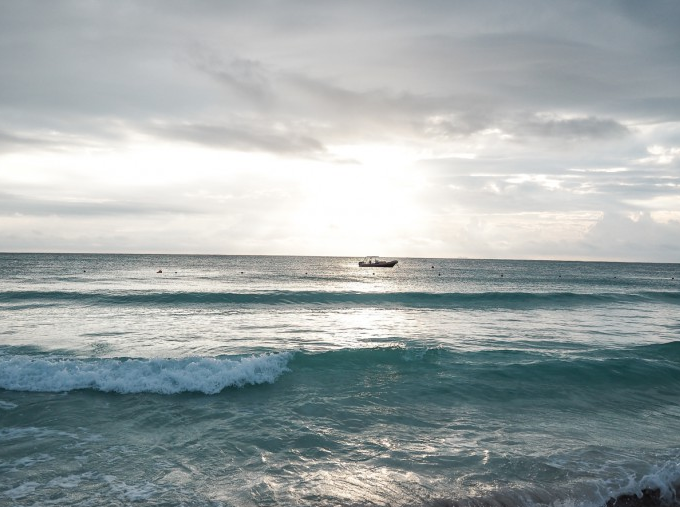 Below is a collection of some of our favorite images we hope will inspire your next Mexican trip to Playa Del Carmen. The foundations of our brand have always been rooted in the values we have kept throughout our lives. When we created our business, we knew that the philosophy of our company had to reflect the way in which we choose to live our lives (and yes, it is a choice). Early on in the process of creating Hotel La Semilla, we began playing around with the symbols in nature that remind us of our values. Of course we love the symbolic power of The Seed (or La Semilla in Spanish) but another image that kept reappearing to us was the almighty Root. The Root became one of the center pillars of our brand because it reminds us of an important lesson in business and in life; “Change your leaves but keep your Roots in tact.” To us, this means that while trends and preferences may change the core of what you believe should always remain constant. People are not one thing. There is a beautiful duality to the human condition. We are parents and we are lovers, we are friends and we are competitors. It is through this journey of being and learning that the ways in which we play out these roles morph with age and experience. We should never stop learning but while our façades may change through the years and interests or even political views, there are those core ideas that remain the same—and these are your Roots. In this never-ending cycle of life, we find ourselves always looking to improve. We want to be better listeners, have less stress in our lives, or show the people we love our appreciation. However, too often we get swept up in the sea of life and bogged down by the small tasks and petty “to do’s” that we forget about our Roots in exchange for moving with the tide– regardless of where it brings us. Living this way is unproductive and damaging for our souls and is the reason that stepping outside of yourself frequently helps to keep your ship on course. Getting back in touch with ourselves and the things we hold most dear is so important for staying grounded—and what better time to reflect upon these ideas then during your vacation. 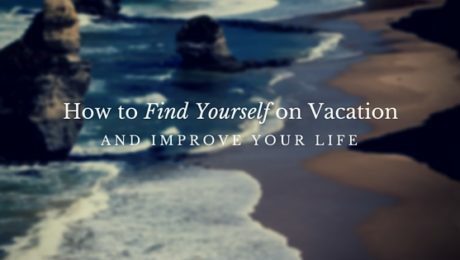 On vacation, you can revert back to your ideal self. You can voice your opinion and unleash your passions. We can be whomever you want to be when you’re out of your normal routine. So how can we hold on to this ‘ideal self’? We think a good place to start is meditation or quiet reflection. Have you ever just flopped on the beach or spent hours in bed during a holiday? 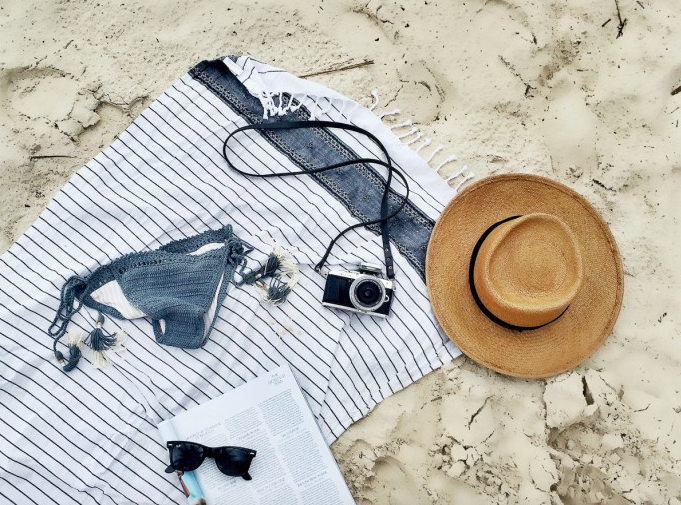 We think these vacation behaviors are wonderful opportunities for reconnecting with your Roots and evaluating your life. 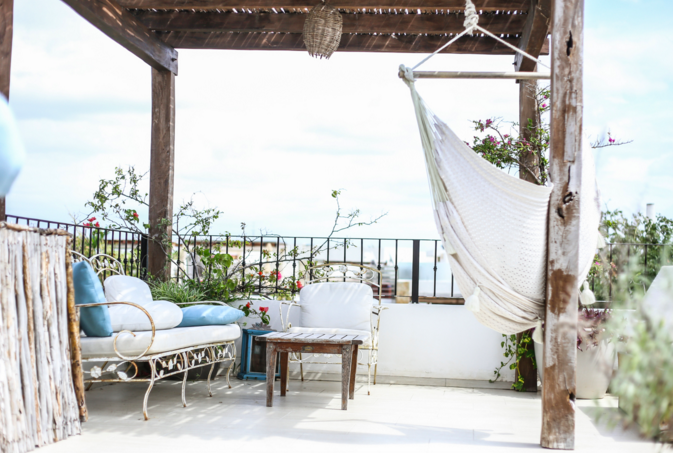 At Hotel La Semilla, our best ideas and most meaningful personal breakthroughs have been stumbled upon after hours of dreaming away on our terrace or swinging in the hammock. We believe that us humans don’t give ourselves enough time to just be. During vacation we may remember to do this—but certainly not in our real lives. We challenge you to create a time of inner reflection, where you can begin to tune out the external noise and being to focus on the deepest parts of your consciousness. While some people like meditation, we have found that nature walks and free journal writing can also be incredible effective. List your main desire—what do you want to change in your life? Write it down and say it out loud to everyone who will listen. This will help make you accountable for reaching your dream. Break it down into actionable steps. For example, if you want to be healthier, why not start with some simple meal planning, fitting a 20-minute walk into you daily routine or just cutting one small thing from your diet? We found that starting anywhere is a good start. Set some achievable goals with dates: Things seem scarier when they are big but if you decide on a very small step to work on and set dates or milestones you’ll see how easy it can be to change your habits. Schedule “meditation moments”: Always be listening to yourself. This is the most important thing. Your life starts with your own happiness and health. Make yourself a priority. This isn’t selfish—it is essential. You can give more when you feel taken care of yourself. Even just 5 minutes each day of cleansing breaths or quiet reflection can make all the difference. The last bit of advice we would like to expel on this topic is this: don’t take yourself too seriously. If we were focused on making everything in our lives and businesses perfect, we would be paralyzed by stress. The most we can do is to be true to ourselves and hold on tightly to our Roots. As long as you set yourself on a path that leads towards positivity and gratitude you will get to a more enriched state of mind. 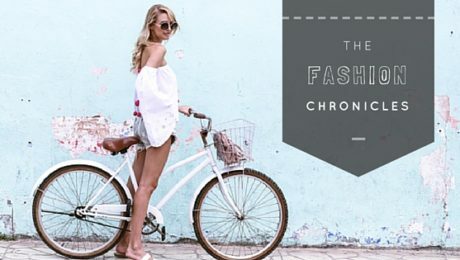 We are happy to share this beautiful article, first published on chiccollection.com. We believe it is a lovely explanation of our story and we are honored to share it with you all. As you wander into Hotel La Semilla Mexico, stopping at the front desk, you may notice a discrete message that displays on the desktop of the computer there. It says, ‘There is beauty in simplicity.’ For this quaint, boutique hotel, one block from the azure shores of Playa del Carmen, the significance of this phrase is striking. As you peer around the vintage inspired décor and whitewash walls, the absence of vibrant colors and noise is so calming and surprisingly distant from the party that rages on just a few blocks away. Hotel La Semilla Mexico is a retreat. It was carefully constructed and conceptualized by its owners, couple Alexis Schärer and Angie Rodriguez. 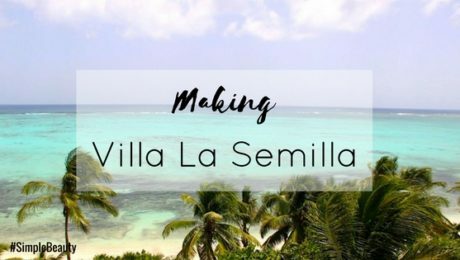 The story of Hotel La Semilla Mexico is a love story and the passion they have for each other translates into the passion they have for the hotel they created. 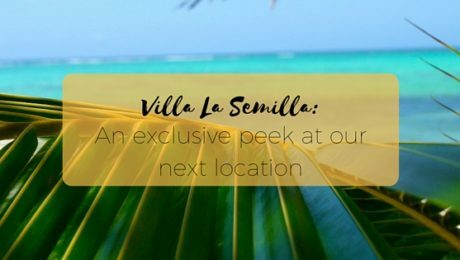 In their vision, La Semilla would be a place to call home. 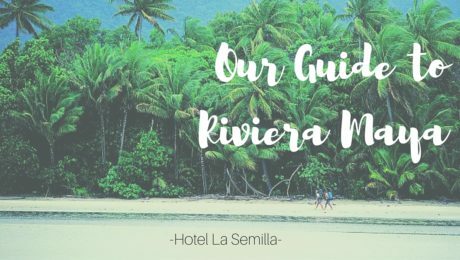 But what differentiates La Semilla from other sleepy bed and breakfast type hotels is that here, you are greeted with five-star service and impeccable attention to detail that all stem from the strong hospitality background the couple shares. Angie and Alexis met while both working at Hotel Plaza Athénée in New York City, and it was love at first sight for the pair. From the beginning of their relationship, they dreamed of owning a hotel one day — a hotel near the water. Little did they know the twists and turns of life would lead them to Playa del Carmen to open their vision of the perfect boutique hotel. Alexis grew up in a hotel lifestyle. He comes from a long lineage of hoteliers, and his father was a general manager for several properties, which afforded the family to live in hotels for most of Alexis’ life. This enabled him to develop a keen eye for detail, an intimate knowledge of the guest experience, and a strong affection for hospitality; all of these things he beautifully translated into the fibers of Hotel La Semilla Mexico. When Alexis met Angie, they began fantasizing about the hotel they could have one day. During the couple’s journeys around the world together, they would always file away details they admired of places they visited: souvenirs, photographs, and journals filled with notes. Many years after leaving New York, Angie, being Mexican herself, developed a strong desire to return home and without much trouble convinced Alexis to move their growing family to Playa del Carmen. They both began working in hotels in the area until one day Alexis knew the time had come to take a risk and begin to fulfill their dreams of becoming hoteliers themselves. The road to open Hotel La Semilla Mexico was not the smoothest. Angie’s father — well versed in finance and accounting — offered to assist the two in the development of the business plan, but tragically passed away during the beginning stages of the project. The path of departing from the stability of working in big brand hotels was scary for Angie and Alexis, who had two children at the time. But the troubled waters didn’t deter them from moving forward. When they were searching for a space to build the hotel, Alexis pointed to an apartment building and said to the realtor, ‘I would like a building like that.’ As luck would have it, that very building had gone on the market that same morning. And so the project began. Angie, with a keen eye for design, resolved that all the furnishings in the hotel should be restored and repurposed antiques. They spent months scouring markets across Mexico City to assemble the authentic look and feel of the property; the inspiration being the old fashion haciendas of Mexico that provide a real feeling of home. This homeliness aura is among the finest qualities of Hotel La Semilla Mexico. Staying there is like being home, but better. The fragrance of fresh white lilies that welcome you as you ascend the staircase to find your room, the small packet of chocolates that welcomes you on your bed, telling you that chocolate was once only consumed by kings during Mayan times and the fresh breakfast of eggs, croissants, and homemade passion fruit jam — all of these signal that you are somewhere comfortable and very special. 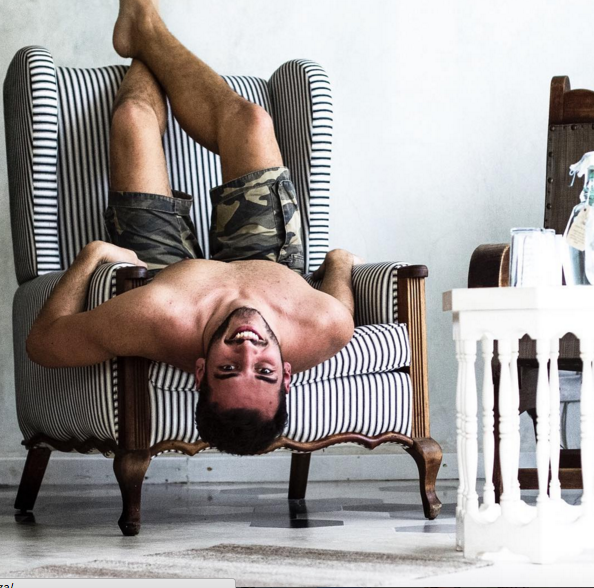 As Alexis and I speak of their adventures in creating Hotel La Semilla Mexico, it is clear that he has achieved the success he has always dreamed of with the property. For him, he defines success as, ‘doing something well and with passion,’ but having enough freedom to spend with your family. 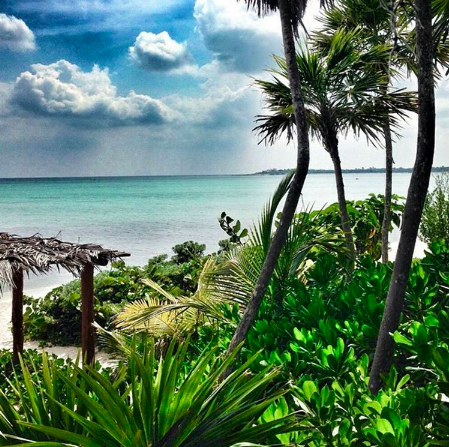 In this, while he has plans to expand to Tulum with a second property next year, he and Angie wish to go no further. The lifestyle both Alexis and Angie have is one that would make anyone envious, and their story of success serves as a reminder that anything is possible with hard work, passion, and the right types of priorities. Isn’t it beautiful how we get a chance to reinvent ourselves every 365 days? 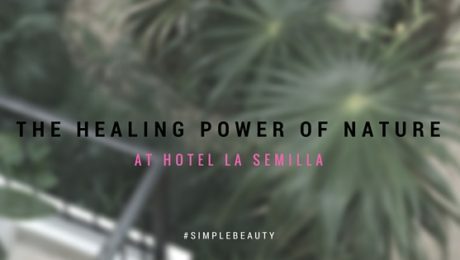 At Hotel La Semilla, we are always excited to shed our skin from last year and emerge as a better version of ourselves in anticipation for everything that lies ahead. 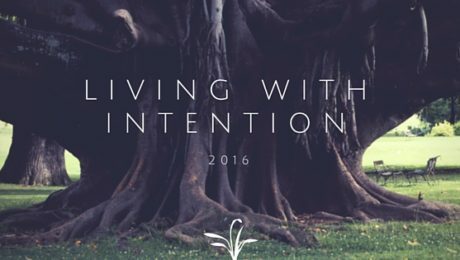 For this reason, we find it helpful to set an intention or purpose for the upcoming year. In our opinion, part of the process is a proclamation of what you intend to do. Our goal for 2016 is to expand the vision we have for our hotel and the community we’ve developed. For this reason, we have started this blog as an outlet to share our dreams, ideas, and action with you all. For those of you that do not know, the Spanish word Semilla, means seed. This word is one we hold near and dear to our hearts. To us, a seed is something that you nurture and love—something that blossoms right before your eyes into something more beautiful and extraordinary than you could have ever imagined. They represent the things you are most passionate about. Hotel La Semilla is the seed that we’ve nurtured for many years. Long before this small hotel was even an idea, we were preparing and driving ourselves onto a path that has ultimately led us here. We are living our dream and seeing our precious seed thriving—and for that, we are filled with gratitude everyday. But as human beings, we have a few seeds to cultivate and the process of finding those seeds is an internal journey we must all face. 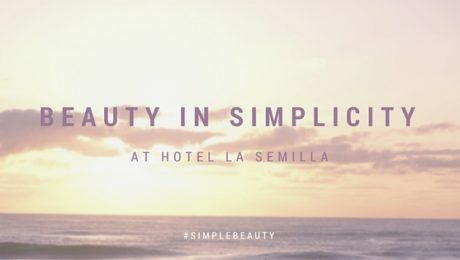 A long time ago, when creating the personality of Hotel La Semilla, we went on this journey to discover our most core values and find a way to live lives that nurture these values. In this, we try to focus on community/family, nature, and self – these are our seeds and have become the pillars we live by. We wake up every day with the intention of giving thanks to our community, to nature, and to ourselves—what a gift it is to be alive. In the upcoming year, our aim is to share our seeds and inspire others into action. We hope you will continue on this journey with us. We know that living a purposeful life is not always easy. Our daily lives do a wonderful job of setting us off course—and distractions are everywhere. However, we invite you to the first step in being more aware and present. We invite you to decide what your seeds are and write them down. What are the two or three things you find the most joy and peace doing or thinking about? During the year, we will be sharing the different ways that we nurture our seeds. We hope that you can cultivate your seeds along with us and share them with our community.